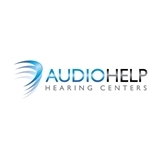 Audio Help Hearing Centers (New York) - Book Appointment Online! Audio Help Hearing Centers has assembled some of the top audiologists to care for your hearing healthcare needs. Earning a minimum of a master's degree, and most holding doctoral degrees, all Audio Help Hearing Centers audiologists are dedicated to maintaining a clinical edge by undertaking significant annual hours of continuing education. This, coupled with a dedication to patient satisfaction, results in an unparalleled hearing healthcare experience for you. Extremely knowledgable, well mannered, and professional!